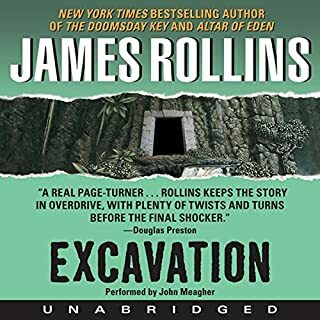 An inexplicable explosion rocks the antiquities collection of a London museum, and the race begins to determine how it happened, why it happened, and what it means. Lady Kara Kensington's family paid a high price in money and blood to found the gallery that now lies in ruins. Her search for answers leads Kara and her friend, Safia al-Maaz, the gallery's curator, into a world they never dreamed existed. Evidence exposed by the tragedy suggests that Ubar, a lost city buried beneath the Arabian desert, is more than mere legend...and that something astonishing is waiting there. What is hidden below the sand is more than a valuable relic of ancient history. It is an ageless power that lives and breathes. Many lives have already been destroyed by ruthless agencies dedicated to guarding its mysteries and harnessing its might. The end may be at hand for Kara, Safia, Crowe, and all of the interlopers who wish to expose its mysteries, as it prepares to unleash the most terrible storm of all. 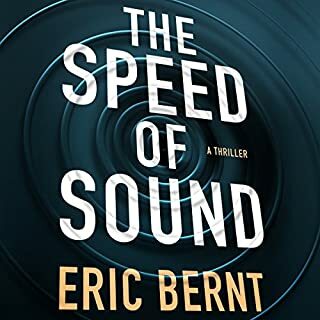 My hubby and I listen to books while driving in the car every week-end (we drive 5.5 hours each way so we like something to pass the time!). 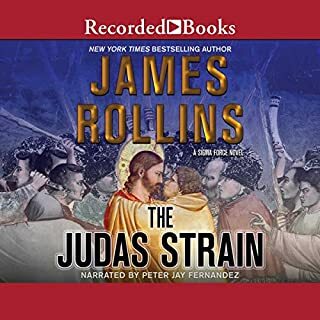 We really LOVE Douglas Preston and Lincoln Child and have read all of their books so we were looking for a similar type author and seem to have found it with James Rollins! 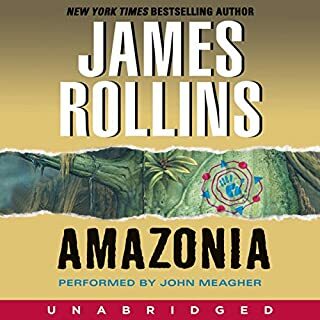 James writes a few different books and many are in series, so if you are like me check online and read them in order (I prefer to read them in order)! 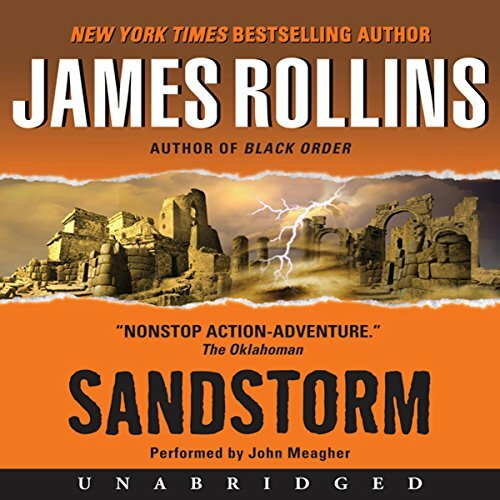 This book Sandstorm is the first in this series and we enjoyed it! James has a scientific mind and does get a little detailed in some of his description which is what my hubby loves and I am not as fond of it but he does do a good job without going too far in depth (for me)! 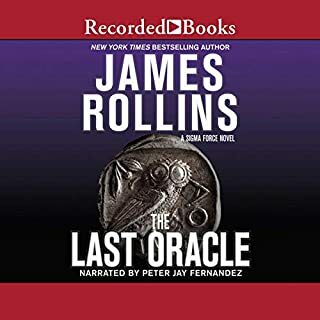 The narrator, which this is the first and only time I have heard him, was not as easy for me to listen to. He did a great job with each character having different voices and personalities but he did seem to have a little lisp or something when he said things with an "s" that was a little grating on my ears. I am hoping that in future books, if he is the same narrator that maybe things will be a little different! 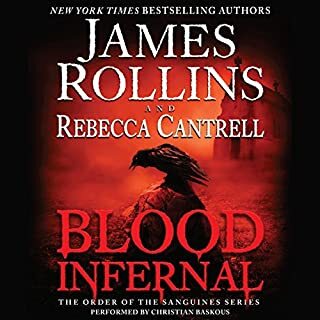 I think that if you like Preston and Child and especially their Pendergast series, then you will probably enjoy James Rollins! 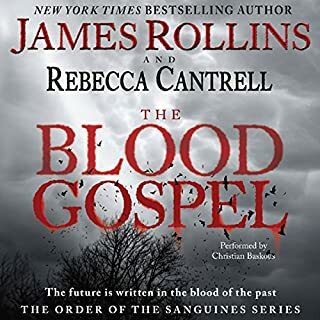 This was a good story which will make me want the remaining books in the series. In my opinion the narrator left some things to be desired. I didn't like the vocal tone. It was almost as if he was whispering. He also didn't bother to get the proper pronunciation of simple nautical terms. Almost everyone knows that forecastle isn't pronounced that way. It's more like (folk-sle). I guess all my years at sea made me critical. It is worth the read though so I can recommend it. What an entertaining read. 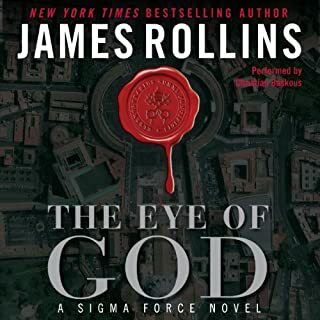 This book was James Rollins through and through. Entertaining, captivating and a roller coaster ride throughout. 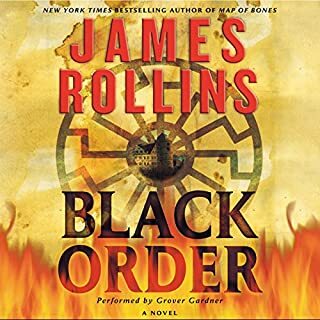 It was a bit drawn out at times, but that’s Rollins. Overall a really good, entertaining book. 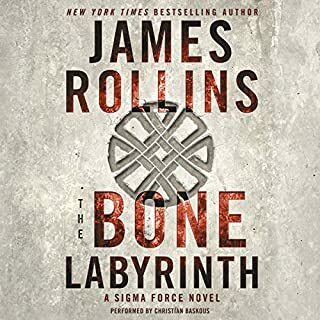 I thoroughly enjoy Rollins' novels, whether I read them, or have someone read them to me. 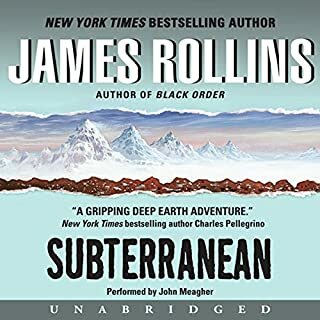 The narration by John Meagher is, sadly, mediocre. 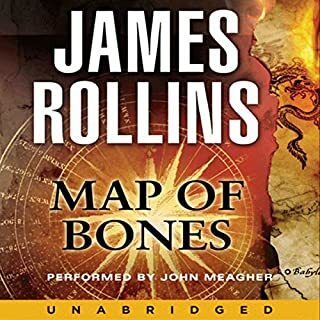 In both this book and the one I am currently listening to, Map of Bones,Meagher mispronounces a bunch of words. Words that are not that difficult, such as "waning" (as in the moon), "limed" (meaning outlined), and metastasized, just to mention the three latest words, are routinely misspoken. He has a pleasant enough voice, but the errors are jarring. When a "reader" mispronounces words, I lose the thread of the story momentarily, as I wince and inwardly complain. Someone either needs to review his reading and correct him, or get another reader. Loved the book, hated the narration. Would you be willing to try another one of John Meagher’s performances? 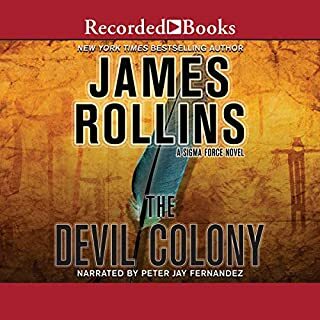 This narrator sounds like a 12-year old hissing into a tin can while hiding under a cardboard box. I've tried him twice and won't listen to anything else narrated by him, regardless of what book it is. 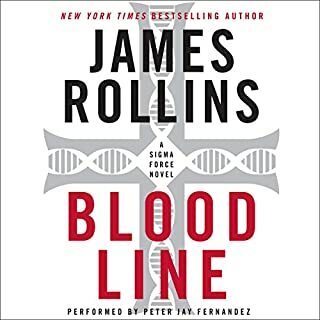 My first listen from James Rollins, and I did enjoy the book, but did seem rather long. The book has it all, Sigma Forces, double agents, love triangle, supernatural beings and a whole lot of nuclear physics. I can't verify just how much of the science lesson is true, but it did get a little overwhelming for me at times. (The author did have a note at the end of the book to separate some fact from fiction). The book is loaded with puzzle solving through the characters that reminded me of a Scooby Doo episode for some reason. 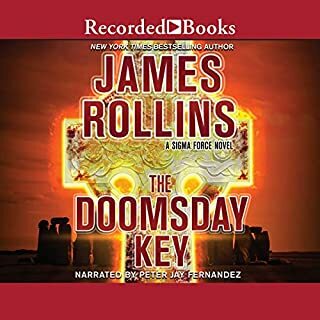 (Couldn't figure out if that was the author's fault or the way the narrator was presenting the info) For most of it, it's a fast paced life and death game between good and evil that makes for an interesting listen. Mr Meagher's reading is flawless, however he does not seem to realize that this type of suspense story needs PAUSES to add to the overall effect. He is in such a hurry to finish the book that sometimes we do not know when a chapter ends. It is often difficult to absorb the story (considering audible listeners usually drive, cook, jog...etc. when listening!) because of excessive 'speed reading'. Please slow down Mr Meagher, not so fast!! and then, another astonishing thing occurred!! A breathless adolescent sci-fi thriller. Hey, what's wrong with that?! It's OK at incorporating current "hot" science topics. 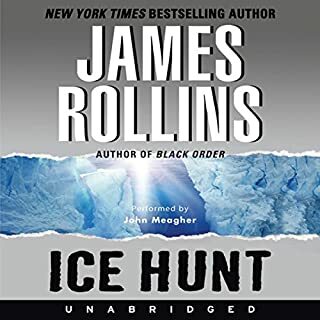 I would give this 4 stars if not for the terrible narrator. Often when someone is narrating a story the character will sound different than we would imagine them if we were reading the book. However, this was different to the point of being painful at times. The female characters were especially bad. The English accents were not good either. Nice try and fun story. With a better narrator would be much better. 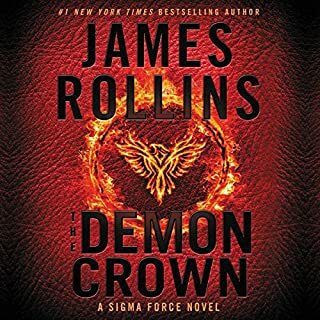 After reading several other James Rollins' books depicting Painter Crow as a a genious capable of anticipating his antagonist's every move, this story depends upon Crow's mistakes and his failure to see the obvious to create suspense. 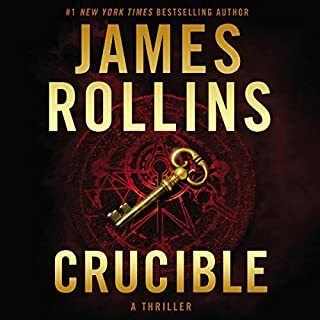 The formula that mystery authors fall back on when they are rushed to get out another novel is to make the villan seem invincible and make the hero fall for every trick, get out smarted at every turn until the final scene of the book when everything returns to the natural order. Good defeats evil. Too bad. Rollin's other books were much better.